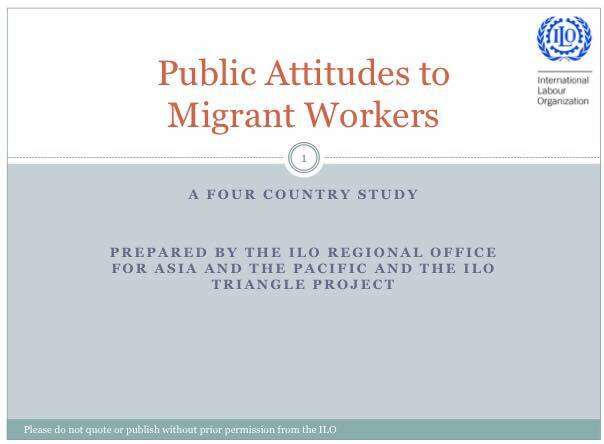 In 2010, Rapid Asia carried out a four-country study with general population in Thailand, Malaysia, Singapore and Korea to look at attitudes towards migrant workers. The study was commissioned by the ILO Regional Office for Asia and the Pacific. A consistent inverse relationship was found between negative attitudes towards migrant workers and the extent to which people had actual interaction with migrants.